It’s always nice to come across feeding holes popular with the locals. I promise I’m not eavesdropping but it seems as though Dulwich Hill folk have no qualms about sharing, which makes me feel as though Sideways Deli Cafe is a meeting spot to catch up on the gossip. There’s lots of seating in the cafe’s airy and bright interior, but I choose one of the many outdoor tables on the footpath. Perched on a roundabout, it feels like it offers easy access as proven by today’s buzzy atmosphere. There are lots of tasty looking treats on the counter, including a plate full of freshly baked scones. I will be so bold as to say that they are fresh, because they taste sensational. So light and fluffy with a creamy taste, I wish I ordered two and not just one. The strawberry jam is tart and not sickly sweet and reminds me of a homemade variety rather than a commercially bought one, but I could be wrong. Nonetheless, it gets my tick of approval. The cream however, although fresh, is too light for me. This spread would really shine with a thicker whipped cream – but that’s just me. Tea: A good variety of Tea Craft loose-leaf teas served in a decent sized pot. 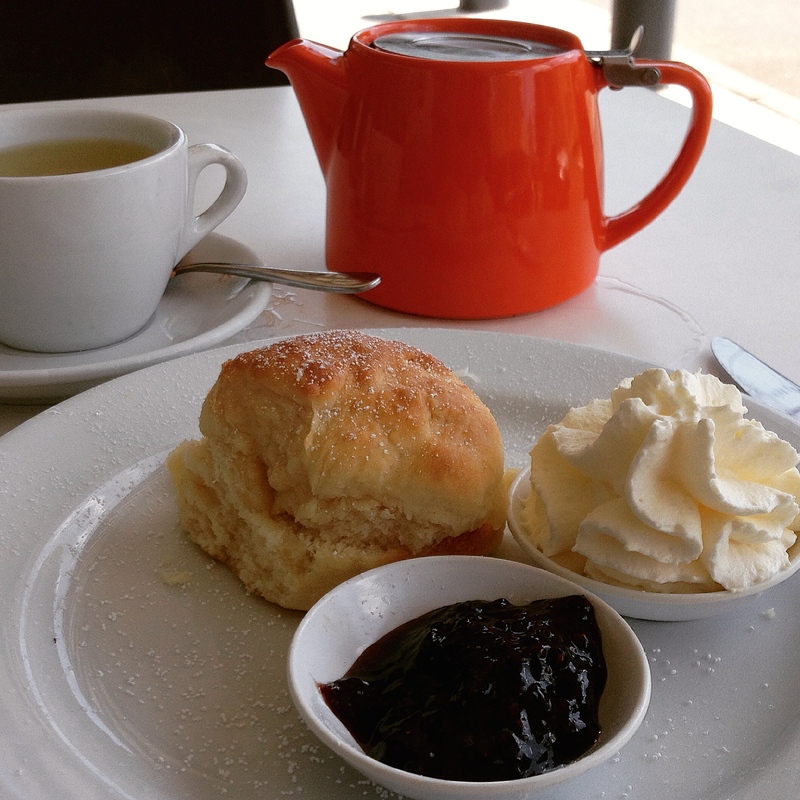 Overall: A popular hidden gem in the quiet streets of suburban Dulwich Hill.